Michael Hanson - IDE Inc. 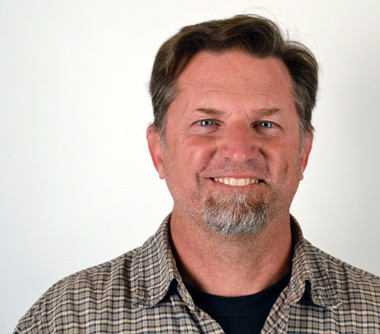 This is Michael Hanson’s third tenure with IDE following a six year hiatus in which he worked for Grace Children’s home in Tijuana, Mexico and served as an Assistant Pastor at Calvary Chapel in Rosarito, Mexico. Michael left his second tenure at IDE in 2011 to work at Grace Children’s Home. Michael has a wealth of engineering experience including his previous work at IDE where he played a key role in the design and engineering of a bench top instrument for IDE client Elitech Group. Michael was involved in designing several smart mechanisms teaming with Bill Seiler, IDE’s chief electronics systems engineer. Prior to his second tenure at IDE, Michael was a design engineer at Roofscreen Manufacturing where he was responsible for DFM (design for manufacturability) and also application engineering, working directly with customers. Prior to Roofscreen Manufacturing, Michael worked again at IDE helping to develop and manufacture several custom robotic cycle testing machines for IDE client Plantronics Corporation. During that period Michael was part of our product design team that designed, developed and manufactured 50 state-of-the-art flat panel monitors for Silicon Graphics Corporation. He also helped design a wireless version of Plantronics’ “Push to Talk” headset used by air traffic controllers. Prior to that, Michael worked at BC Tech, a Santa Cruz based medical products engineering firm and at Everest & Jennings, an innovative developer and manufacturer of carbon fiber wheel chairs. Michael holds a BS degree in Engineering Technology from Cal Poly San Luis Obispo with a concentration in Manufacturing Processes. Michael is also an ordained minister and Lead Pastor at Santa Cruz Bilingual Church.